Many thanks to Cody for allowing me to use these flights of ATR 72-500 ZK-MCO which is soon to join the Air Chathams fleet. Yesterday it did a divestment flight in preparation for handover. Hmm. 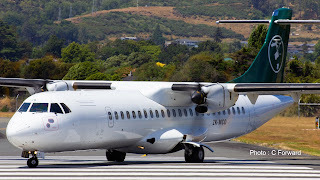 Possible shape of things to come for Air Chathams, as a possible replacement for their Convairs. 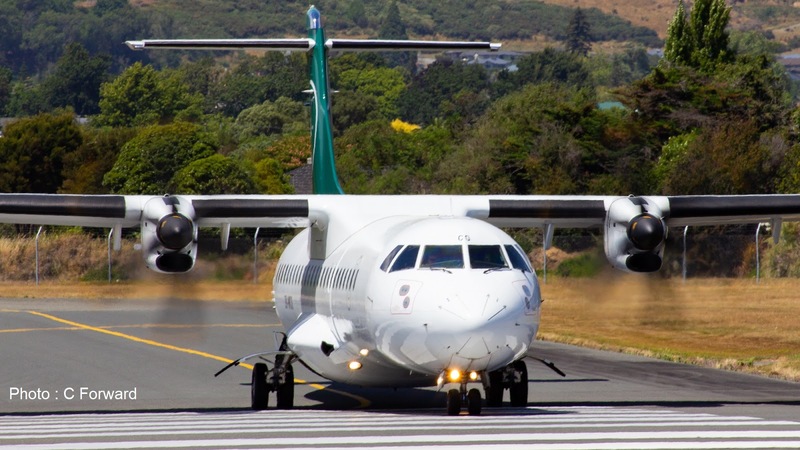 Is MCO on a dry, damp or wet lease to Air Chathams? No. There is a report floating around regarding the runway at the Chathams. The report very clearly indicates that the ATR is NOT a suitable replacement for the Connie. 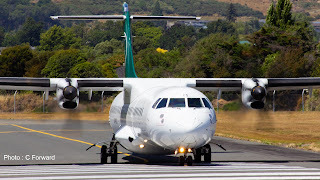 You will see Air Chathams with Convairs until the runway at CHT is extended and 737 operations can commence. Air Chathams cited the 737 as a Connie replacement a long time ago, and the report also indicates that the 737 would be a great replacement. Rumor has it that the CV580's are going next year because the cost to bring them up to regulation outweighs the aircraft's value. However, nothing is confirmed. Had a alot of work done on it, but no such thing as zero timing an airframe. Not a rumour or rubbish. This has been reported on before. The issue is the lack of a secure cockpit door for the CV580. Air Chats CV580 fleet are flying on an exemption from NZCAA which expires next year. Apparently an extension is not available and cost of designing, developing, getting approvals and installation for the CV580s (none in the world have or need them) simply doesn't stack up. IIRC, Air Chats also commented when they bought the Air Freight NZ birds they were to be a source of spares to keep the current fleet going until then. You raise some good points. But convairs will keep flying as long as they have a job to do. Quiet Wing Corporation engineered a comprehensive cockpit security solution to comply with all FAA and EASA requirements. The Quiet Wing cockpit security door is FAA certified and approved via the STC process for all 727 series aircraft, the 737 “classics” (-200 through -500 series) and Convair 580 and 5800.